There are several possible causes for the Video Loss in Reolink NVR Client. You may follow the troubleshooting tips listed below to solve the problem. 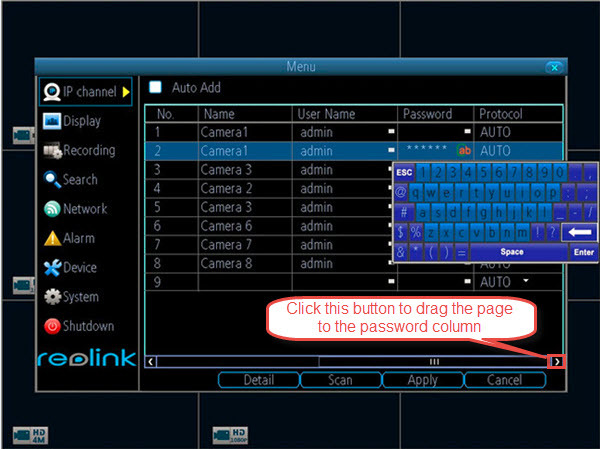 Note: Before you start, please connect the Reolink PoE IP camera directly to the Reolink PoE NVR via the short Ethernet cable in the package (or a short CAT6 8pin Ethernet cable). Cause 1. Incorrect camera password. 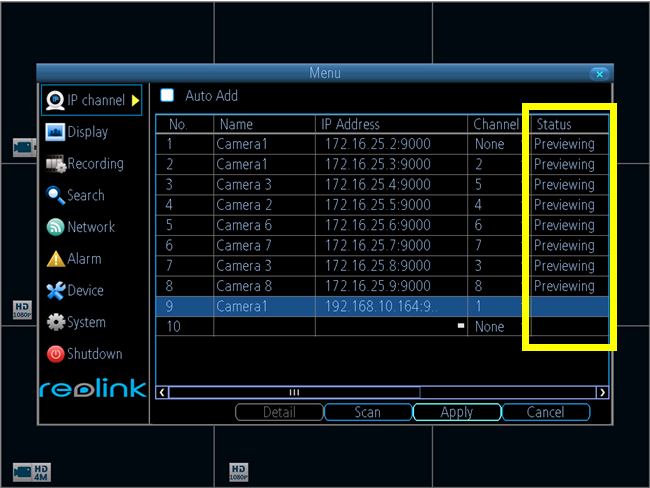 Solution: Log into the NVR and go to Menu -> IP Channel to check the Status of the channel with Video Loss. If it shows Invalid PWD, please drag the bar in the bottom to the right to enter the correct password of your camera, then click Apply to save the change. Note: If you forget your password, please reset your camera to reset the password to default (blank). Cause 2. The camera is not properly connected to the NVR. 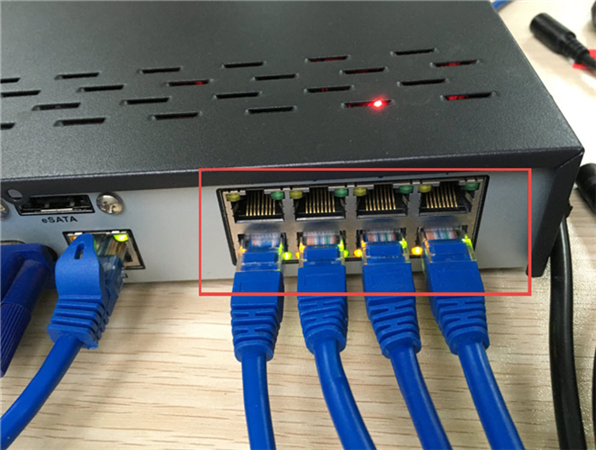 Solution: If your device status is Offline, please go to the rear panel of the NVR and try to connect the camera to other ports that work or use another Ethernet cable to connect them. Cause 3. The camera is not working properly. Solution: Please reboot the camera and cover the daylight sensor on the camera lens or turn off the lights for a few seconds and wait for a sound from the camera. Contact our support team with the result of the test for further help. If you need extra help with any of this, please contact our support team by submitting a request.